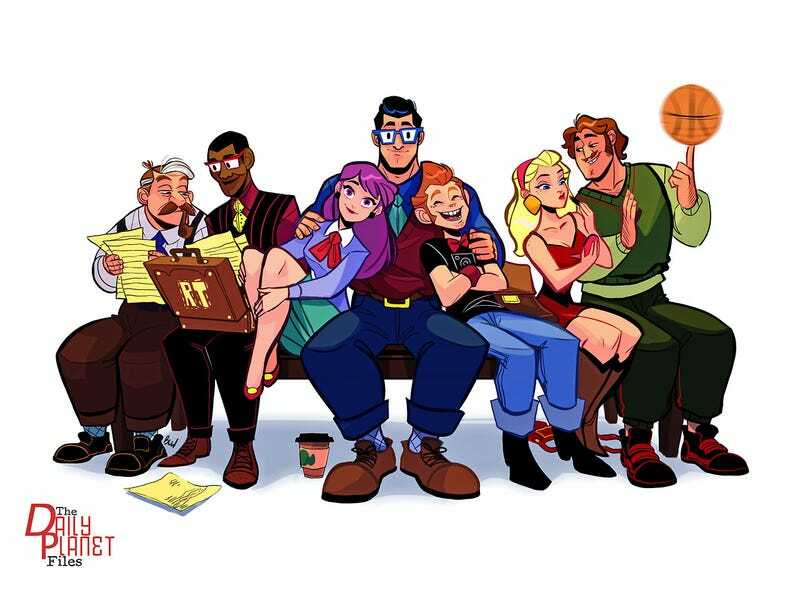 In her spare time, freelance artist Brittney Williams has been working on a fan comic and fanart project, The Daily Planet Files, focusing on life at Clark Kent's day job. If the art she's released for it is any indication, that comic's going to be utterly charming. Williams describes The Daily Planet Files as a "manga-esque" comic about the staff of the Daily Planet, and it appears to have evolved into a larger fanart project as well. You can see more artwork and sample pages on her Tumblr. After tinkering with these characters since May, she says she's finally happy with the designs and the direction of the project and hints that we may be seeing something more from this Daily Planet crew in the coming year. Hopefully, she'll share a full comic story.